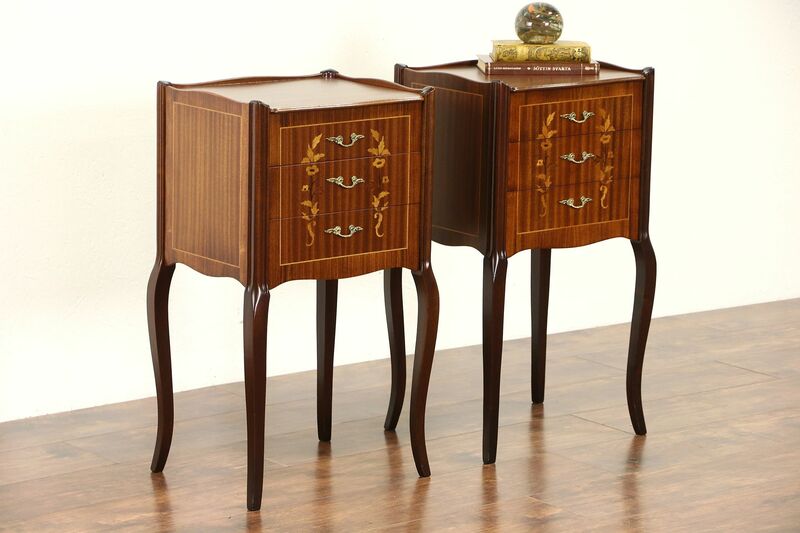 A pair of 1950 era nightstands from France are mahogany with delicate inlaid marquetry. Drawers have dovetailed joints and original embossed brass pulls. The renewed finish is in excellent condition, the back is original. Size of this elegant European vintage furniture is 15" wide, 13" deep and 28" tall.